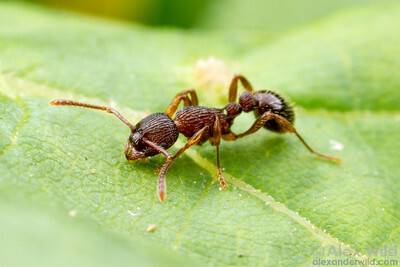 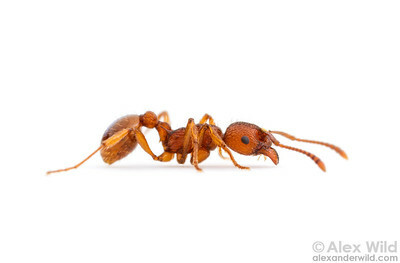 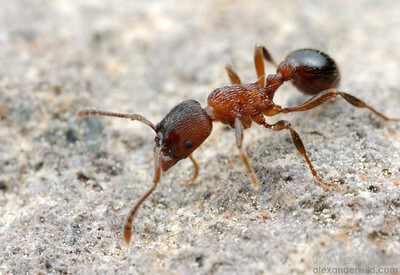 is a common ant in north temperate, boreal, and high elevation sites throughout the northern hemisphere. 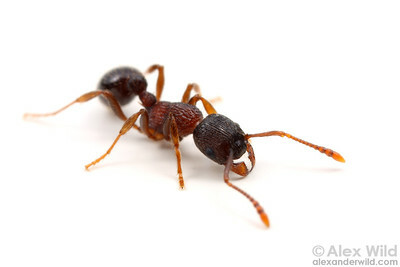 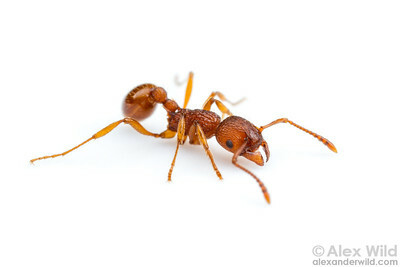 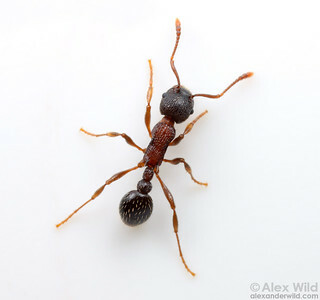 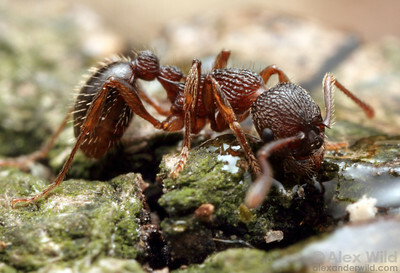 These ubiquitous myrmicines are generalist predators and scavengers. 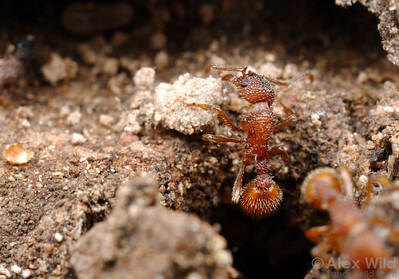 Both Eurasia and North America contain dozens of morphologically similar species that are very difficult to identify. 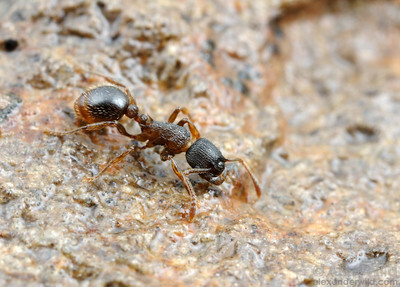 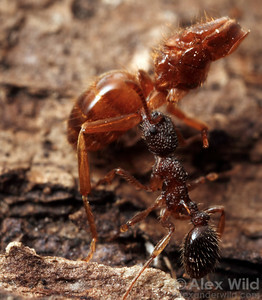 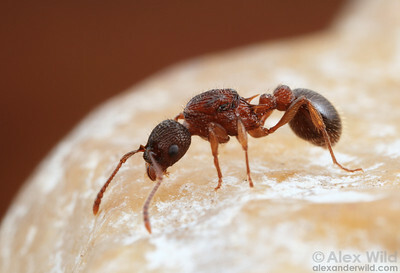 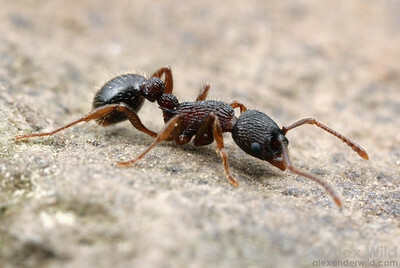 A Myrmica worker carries her sister in typical nestmate transport. 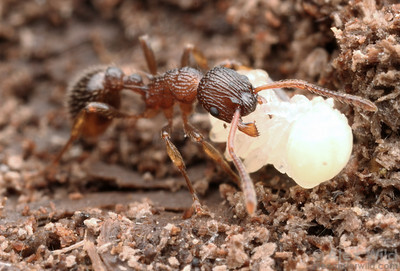 This behavior is thought to increase colony efficiency. 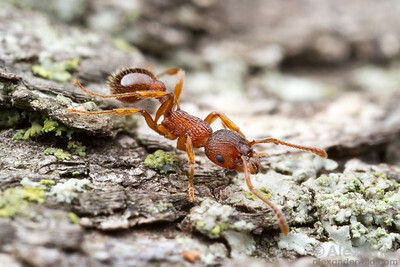 Raven Run Nature Sanctuary, Kentucky, USA. 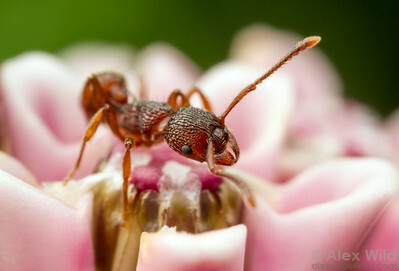 A worker ant gathers nectar from a milkweed flower. 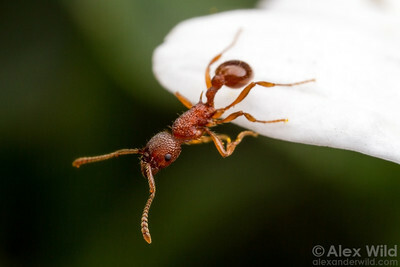 Homer Lake, Illinois, USA.